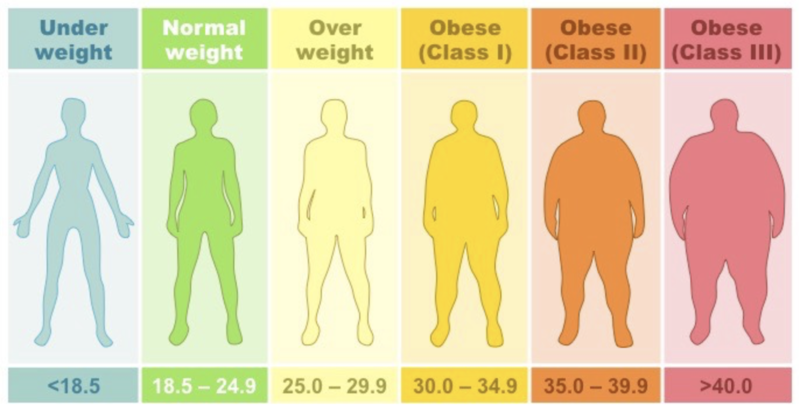 NOTE: Values given are estimates for screening purposes only based on height and weight and do not account for age, gender, ethnicity, or activity level. 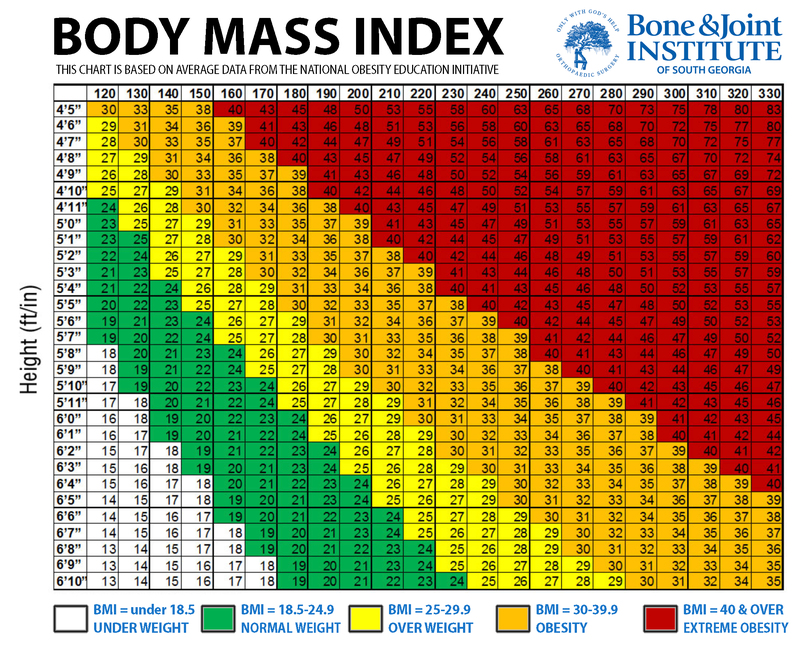 BMI uses height and weight to indirectly estimate body composition. It is one of most common and cheapest of several tests that can be used as a screen for obesity. It does not account for muscle mass, gender, or ethnicity, however, and is not recommended as the sole measure of obesity evaluation. Losing extra weight, even just 5-10% of your body weight can significantly improve your recovery time and outcome, and seriously cut complications. Obese patients have more difficult surgeries for numerous reasons. First and foremost, the surgery is more challenging for a surgeon to perform due to lower visibility. Veins are harder to find making it harder to administer necessary medications; anesthesia is harder to administer; breathing is more greatly affected; there tends to be more blood loss; and surgery times are longer. With a longer surgery, patients are under riskier anesthetic for a longer time period and there is more opportunity for complication. Shedding extra weight means an easier surgery which directly relates to a more seamless recovery and at-home rehabilitation. This is a crazy statistic: each pound of weight loss offloads 5 to 10 pounds from the knee joint depending on what activity you’re doing. High-impact activities like running can put an excess of 10x your weight on your knees. In other words, if you lose 10 lbs this is like relieving your knee joints of 50-100 lbs of excess pressure on your knee joint. As such, weight loss can alleviate pain from your hip or knee. Although a weight loss probably won’t rule out your need for a replacement, it may make you feel a little more comfortable while you waiting your recovery and ReHab. 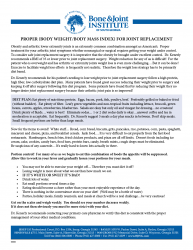 Dr. Kenerly has prepared a flier for additional information on the importance of your BMI as well as nutritional insights. Simply click on the flier (to the right) for a PDF file that you can download and/or print.